QuizzaMe is family friendly entertainment at one Adelaide’s best venues. Come experience the biggest QuizzaMe screen in Australia!! QuizzaMe trivia nights are a fully interactive trivia event that will get you cheering, clapping and having a great night. 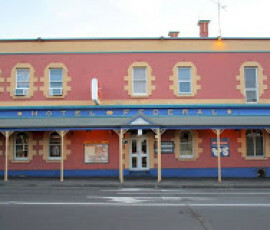 The Village Tavern is the perfect place to enjoy an Adelaide trivia night, with a varied menu and lots of beers on tap. QuizzaMe is the perfect night out with friends or family as every question is multiple choice so the right answer is always on the screens! The quicker you lock in the right answer on your QuizzaMe buzzer, the more points you will earn for your team. But answer incorrectly and you will loose points (oooh). Our professional and ridiculoiusly good looking Quiz Masters will guide you through a fun night of quizzing entertainment. With lots of wonderful prizes up for grabs and multiple chances to win, come experience this entertainment rEvolution for yourself! QuizzaMe trivia nights – no pens, no paper, just fun!